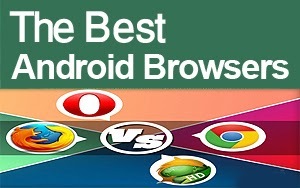 Top 10 Browsers for Android platform. higher gear. Heck, it's probably fair to say that this is a whole new ballgame, as the scope of examined categories is far larger. We have checked different features of the browsers like performance benchmarks, functionality, features, general UI responsiveness and design will also a factor in. We had to take shortcuts, though. Simply put, there are just way too many browser apps available right now, and that makes it practically impossible to examine them all well enough. So we had to pick. But instead of simply relying on popularity, or speed, or features, we thought it's best to cover the entire spectrum, and also include newcomers, that may not have yet won themselves massive audiences, but chances are, they will. But enough with the disclaimers. Let's talk facts. Note: The test device of choice is the OnePlus One. Most of you will have come to know Google's Chrome browser by now, especially since most manufacturers ship their phones with the app included by default. But to say that the design of Chrome is anything close to a defining point would be completely wrong -- it's fairly pleasant to use and speedy, but nothing really sets it apart in terms of its UI. Thankfully, this typical of Google approach also means that the browser is, honestly, completely problem-free. It does not lag when navigating pages or the interface. Panning, zooming, all of that is also done without a hitch, regardless if you're browsing an image-heavy page, or not (to the extent that your hardware can keep up, of course). None of that, however, gives Chrome a character -- you get the feeling that you're operating a tool, and that's not necessarily the case with the rest of apps on this list. Some of the browsers we'll talk about today are exclusive to Android, but that's not the case with Firefox (nor Chrome or Opera). The wealth of experience of the team behind Firefox at Mozilla Corp. means that Firefox for Android is, for most, an easy sell. Like its desktop counterpart, Firefox for Android has a fairly simplistic look, too, but it's perhaps a tad more welcoming than Chrome with its looks and interface. It's not necessarily user-friendlier, though, and some options and settings will require newbies to test them out before figuring out what they do, but that's okay. As for navigation, this is also done without a hitch, and pages render very well on the whole. Opera is the third and last Android browser on this list that can brag with an ancestry going back to the desktop browser era. Even today, Opera for desktop remains active, and the team is evidently continuing work on the mobile edition, too. Opera has always been an acquired taste, and it's fair to say that we never quite warmed up to it, though we're perfectly aware that a lot of people feel differently. Like its two competitors above, Opera also offers a simplistic design, though one could argue that it's starting to age a little bit. Thankfully, this does not at all mean navigation performance is compromised -- it's actually excellent, even when talking about very heavy sites. Dolphin is something different. It's one of the oldest mobile browsers available for Android, and year after year, it's managed to hang onto its spot as the logical alternative to the popular trio from before. If we learnt anything from our previous piece on this topic, it's that Dolphin's community is fiercely loyal. And that never comes free. Design-wise, Dolphin is playful. It remains one of few browsers that embraces color, and its green interface is a pleasure to look at. It's more feature-rich than most of its rivals, and that means there's a learning curve to go through. Thankfully, navigating the interface and web pages proves to be silky smooth. 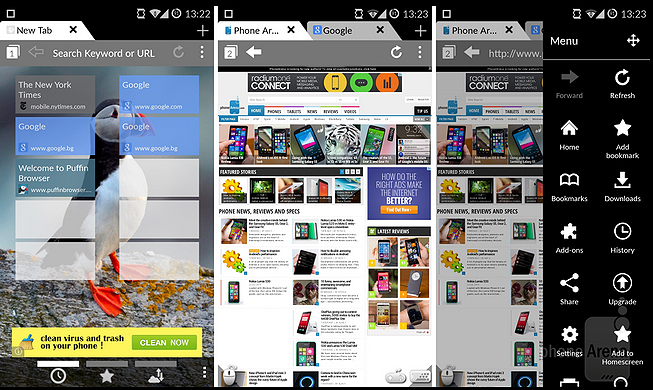 Like Dolphin, UC Browser also has a more welcoming interface, with blue being its trademark color. The browser's UI is well-designed, ergonomically spaced-out, and, thus, easy to make use of. As for navigation, operations like zooming and panning are carried out without a second thought. 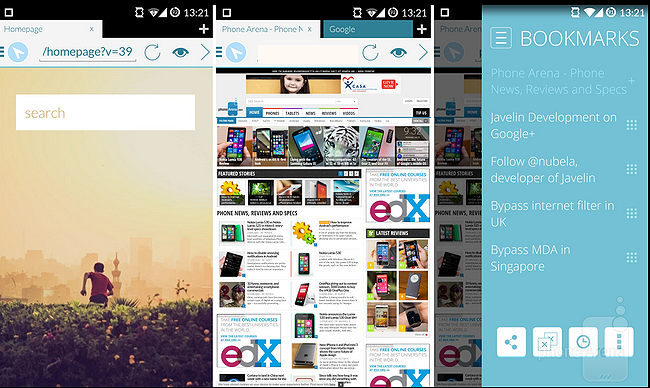 CM Browser is a newcomer to the Android browsing apps scene, but, boy, does it feel polished! The app offers by far the cleanest, most minimal interface of all on our list, and it's tastefully done, and does not feel barren. The slick interface of CM Browser is only made more appealing by the fact that the app needs no help answering user input instantaneously. With some very, very rare hiccups serving as an exception, navigating the UI and web pages with this browser is a piece of cake. CM Browser may offer the most simplistic interface of all, but it's Javelin that can be said to offer the most visually-appealing one. You don't call this one slick -- you call it beautiful. Javelin's developer has used solid colors to achieve this effect, and more power to him. We once again have frills-free interface and web page navigation here, so nothing out of the ordinary (this far). Ah, Puffin. Some will wonder why Puffin is on this list at all, especially considering its less-than-attractive interface. Folks who've used it will know, but we'll leave that a surprise for now (keep on reading). Indeed, Puffin is arguably the worst-looking browser on our list today, and it's got some serious shortcomings. For example, navigating the UI is frustrating, as there's perceptible lag, and hiccups are common. The same goes for web page navigation. Scrolling, zooming, panning, all of this leaves something to be desired, though it doesn't feel like CloudMosa, the company behind Puffin, is much interested in this aspect of the browsing experience. With them, it's all about speed (again, keep on reading). A product by the extremely talented and popular team behind GO Launcher, Next Browser is a natural draw for those who appreciate the devs' previous efforts. The interface is colorful and welcoming, but also minimal to an extent. Hiccups while browsing image-heavy pages can be spotted, but, on the whole, scrolling, zooming, and panning leave little to desire. Another new entry in the arena of Android web browsers is this one. It's hard to argue that Lightning Browser's is very reminiscent of Google's Chrome. This means we again have a stoic, no-nonsense interface that is all about the content you're viewing, and less about the software through which you do that. As for as navigation is concerned, the User Interface of this newcomer is simple enough to appreciate, though we do wish scrolling and zooming were even more smoother. Even then, we'd say the folks behind Lightning Browser did an excellent job for Android consumers. 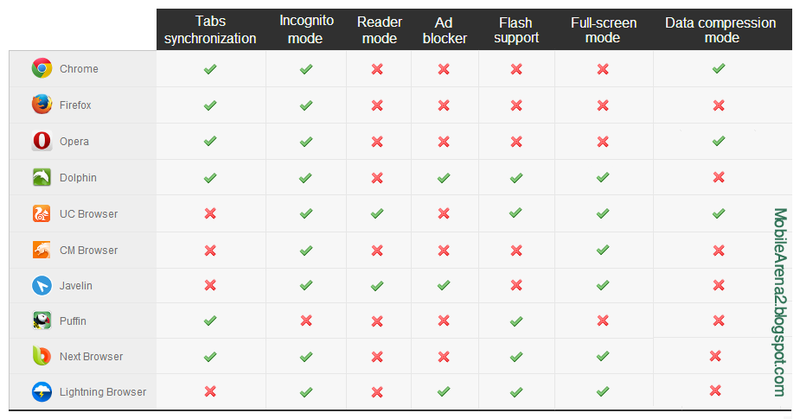 It will help you to a comparison and better comprehension of the features of all above mentioned browsers. 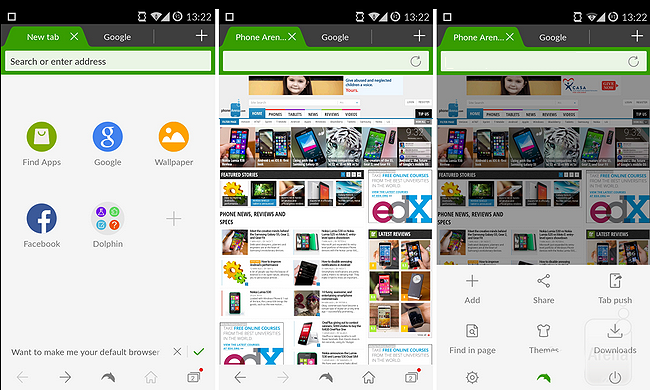 You can make a practical analysis to conclude that what should be your default web browser on your Android device.